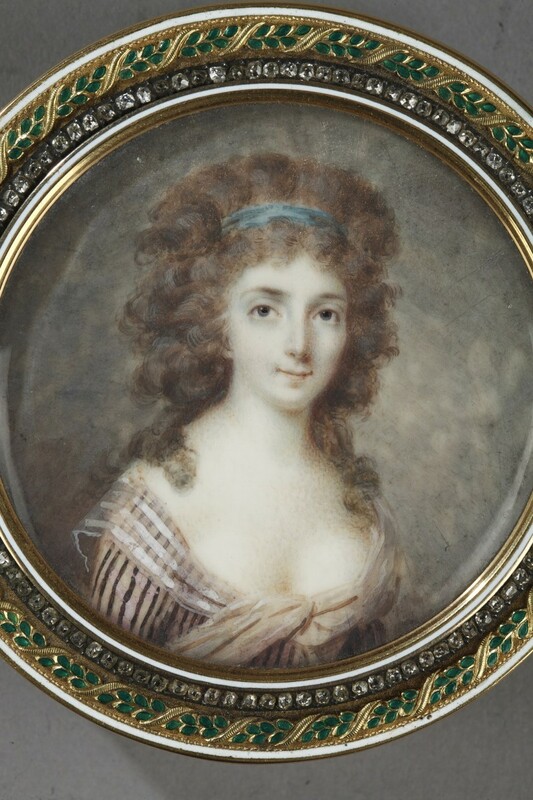 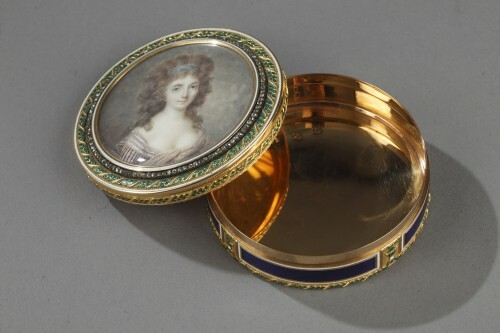 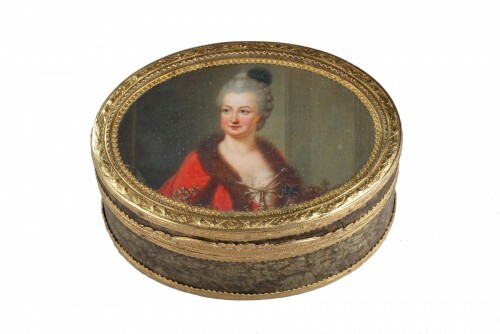 The removable lid is decorated with a miniature portrait of a woman on ivory. 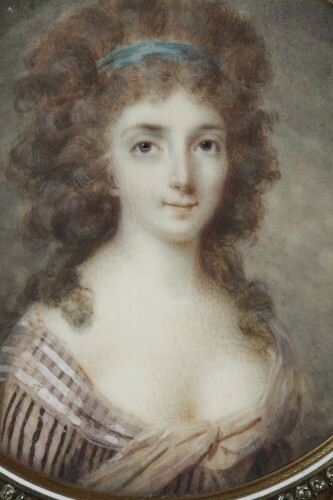 The young, upper-class woman is wearing a striped dress and and a headscarf in front of a monochrome background. The miniature is encircled with with old-size diamonds. 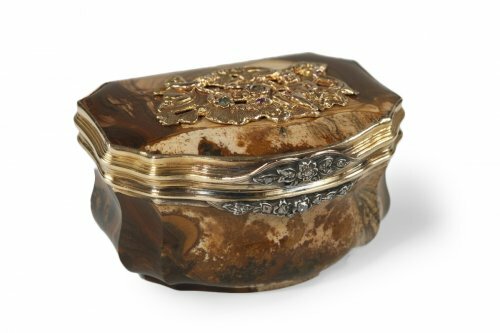 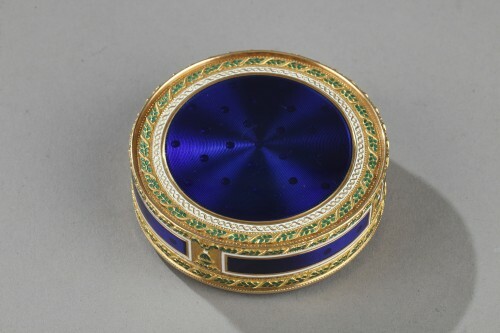 he cover, sides, and base of the box are covered in translucent, royal blue enamelthat reveals the intricate guillochage pattern in the gold underneath. 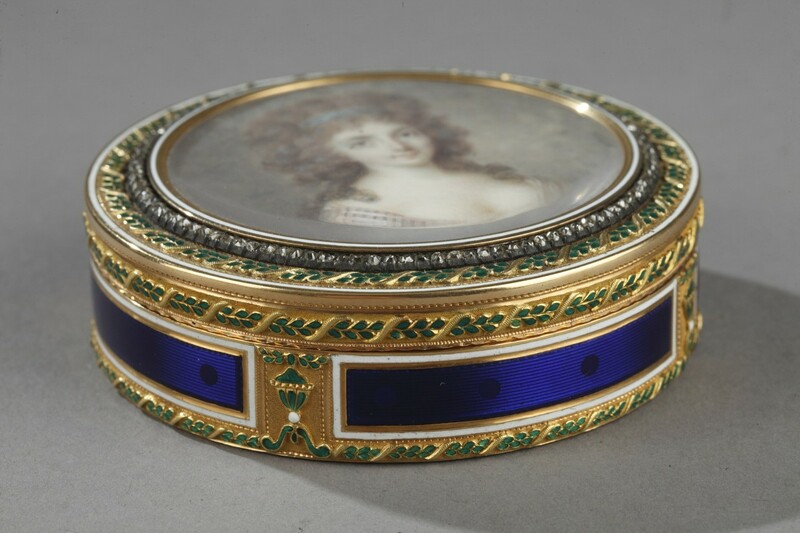 The composition is framed with a frieze of leaves and stylized flowers enhanced with green enamel. 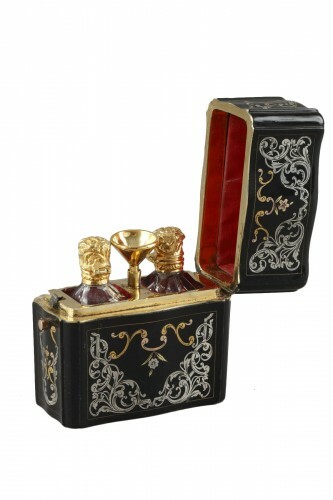 Masters Goldsmiths F. S for the Souchay brothers. 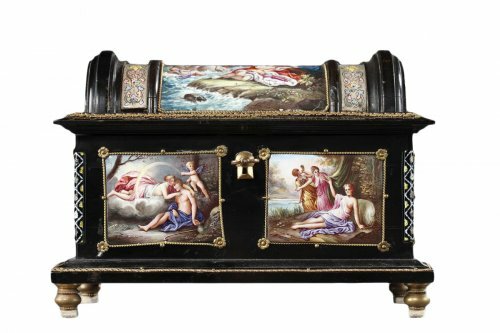 The Souchay brothers: Esay Souchay and Marc-André Souchay under the descendants of a Huguenot family of Hanau. 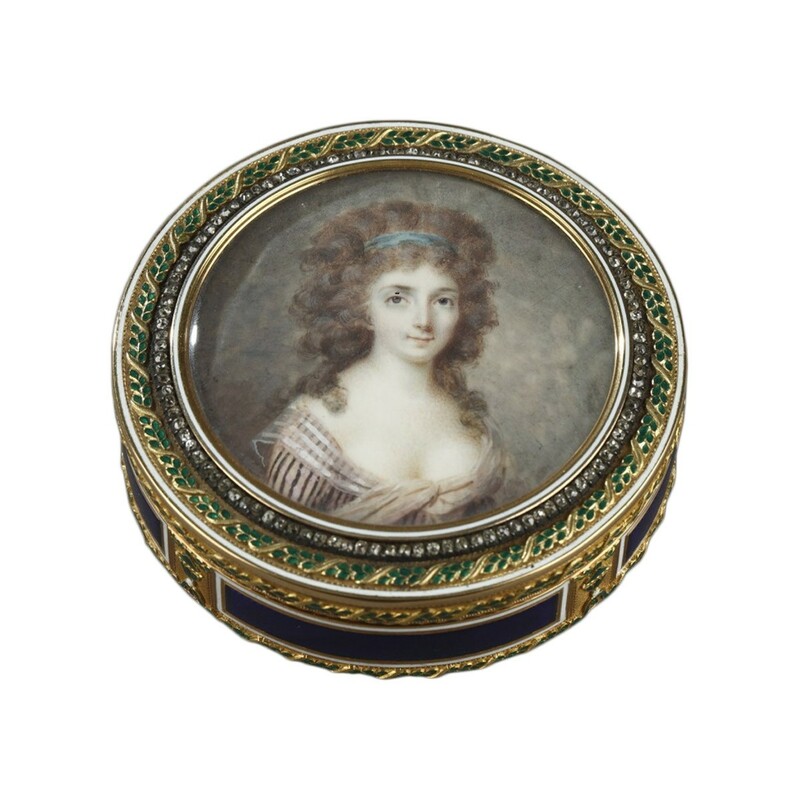 These jewellers were very active from the years 1760 and worked many artists.